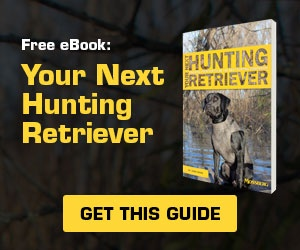 Mossberg Blog | Missing Targets? Check, and FLEX, Your Gunfit | O.F. Mossberg & Sons, Inc.
As a former waterfowl guide, and a firearms instructor, I am often asked for wingshooting tips, and last year, I was honored with a request to take a friend’s family, including young kids, out for a pre-season shotgun lesson. The kids are young enough that they don’t have their own shotguns yet — wisely, their folks are waiting until they have a lesson or two first before taking the plunge. Hence….me. And my FLEX system! The Mossberg FLEX allows me to change length of pull, recoil pads, and even comb height, literally with the push of a button. These changes will be necessary, since I was working with four shooters of different size, shooting experience and recoil sensitivity. Amazingly, I was able to take ONE shotgun: my Mossberg FLEX 500, in 20 Gauge. That’s right. One shotgun, with some super-easy accessories, was able to accommodate all four of us! Why am I so excited by this? 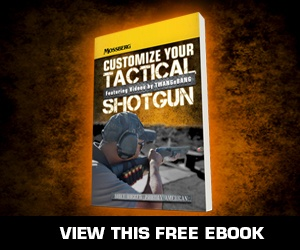 Proper gunfit… is absolutely critical to being able to hit anything with your shotgun! As a wingshooting instructor — who got her shooting start 45 years ago (cringe!) with a thoughtfully cut-down shotgun — I really appreciate the importance of gunfit. And frankly, I am often frustrated by the lack of it! Proper gunfit — and we are not just talking length-of-pull — is absolutely critical to being able to hit anything with your shotgun! The entire key to wingshooting is that the eye IS the rearsight — and what that eye sees SHOULD be what the shotgun hits. But, of course, this only works when said eye is in its proper position, and that in turn only happens when the shotgun is appropriately fitted. And most simply are not. If you’re poo-pooing this, know that, sure, a shooter can “wing” it and hit a bird or two with any ol’ shotgun. But be aware that having any consistency, technique, and confidence — never mind fun — will be virtually impossible with an ill-fitting shotgun. I’m willing to bet that more frustrated shooters (and their instructors and guides!) are created by poorly fitting shotguns than anything else. Gunfit — especially as to wingshooting shotguns — is a science and art unto itself, and gunfitters are seriously trained and schooled for their craft. That said, a good instructor can “get you in there.” BUT Mossberg FLEX system allows me to do that, on the fly, well enough to accommodate 98% of shooters I work with. This includes everyone — men, women and kids. Let’s face it, not every guy fits the “standard” 5’10, 195 lb specs, and let’s not even get started with women and kids. I had a great opportunity to see these FLEX shotguns in action. For three days at Gunsite where a group of women students trained hard in both defensive (tactical) and hunting (wingshooting) techniques using the Mossberg FLEX Shotgun. We definitely put these guns (and the shooters) to the test. I was thrilled at how easily I — and even better, my students — could change the configuration of these shotguns. This was especially important, since we had a couple of students who shared shotguns; they were different physical types, but it didn’t matter, we just switched out parts in a few seconds—and no need for tools to do so. The fact that we could use our bare hands to manipulate all the pieces and make quick changes in the field was a game changer. The Mossberg FLEX Shotgun is actually is MY personal shotgun, and I do use it to teach. But a big part of why I got it in the first place is because I myself have different fit needs. I opted for the FLEX system because I do a lot with a shotgun, in all types of weather. I don’t want to have to change guns just because I changed jackets….with the FLEX system, I don’t have to. A quick twist, and I can either change an entire stock, or with an even simpler pinch of a button, I can change my recoil pads. Either way, I accommodate my new length-of-pull (as well as different ammo and attendant recoil, if I so desire). As an added bonus, the FLEX system and accessories allow me to quickly and easily convert my hunting shotgun to a defensive shotgun. I change out my hunting forend with one that is railed and allows me to have a dedicated light for defensive work. I can also easily add a shorter barrel and stocks/recoil pads to accommodate indoor situations. 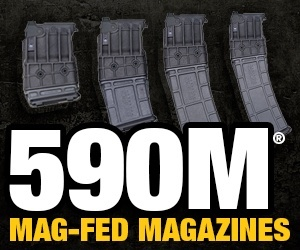 The FLEX system is almost limitless, given its array of recoil pads, stocks, foreends and barrels. But, in the end, it is the ease and convenience of changing the FLEX pieces that makes this system work for me. I am pretty lazy, and I like simplicity. My FLEX 500 changes out in literally seconds! For any serious bird hunting or clay target events, I used to advise people to first get their shotgun fit checked. Now, I tell them to get a Mossberg FLEX system shotgun, and then fit it to them. Il Ling New grew up hunting and fishing, and started guiding for her father’s outfitting service as a teenager. She received her first guide’s license at age 17. Later, she became the first female captain of her university’s shooting team. Il Ling is a professional guide in the US, as well a National Sporting Clays Association Instructor. Outside the US, Il Ling has hunted in the UK, Asia, Australia, and Africa. At Gunsite, she teaches Defensive Handgun, Rifle and Shotgun courses, as well as Hunting Rifle and wingshooting.